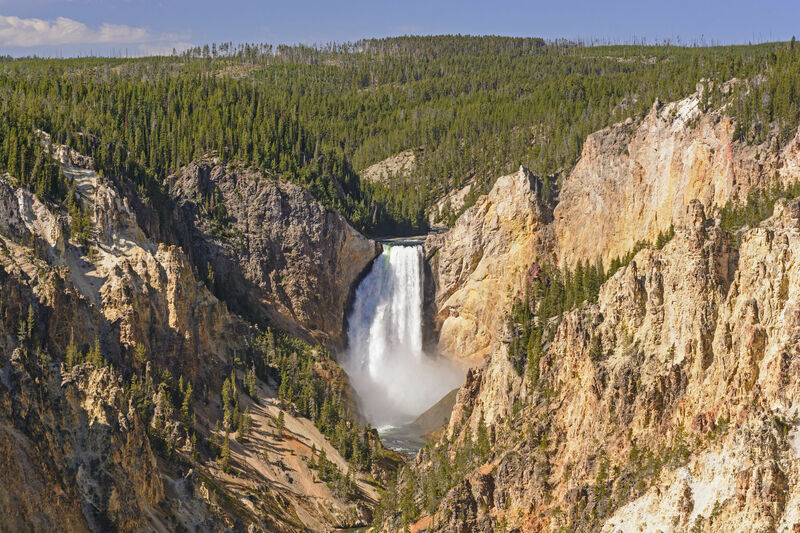 Yellowstone National Park boasts remarkable canyons, impressive geysers, lush forests, beautiful hot springs, rushing rivers, and of course, cascading waterfalls. Featuring more than 3,500 square miles of wilderness, visitors love Yellowstone for its awesome recreation, stunning vistas, and unique natural features. The views here nothing less than dramatic. From majestic mountains to magnificent wildlife, guests of all ages will love this national treasure. We could write an entire book on everything a person should see while visiting this park, but we are going to focus on one of our favorite elements of the park. Waterfalls. So many glorious waterfalls. Ready to start planning your Wyoming camping trip? 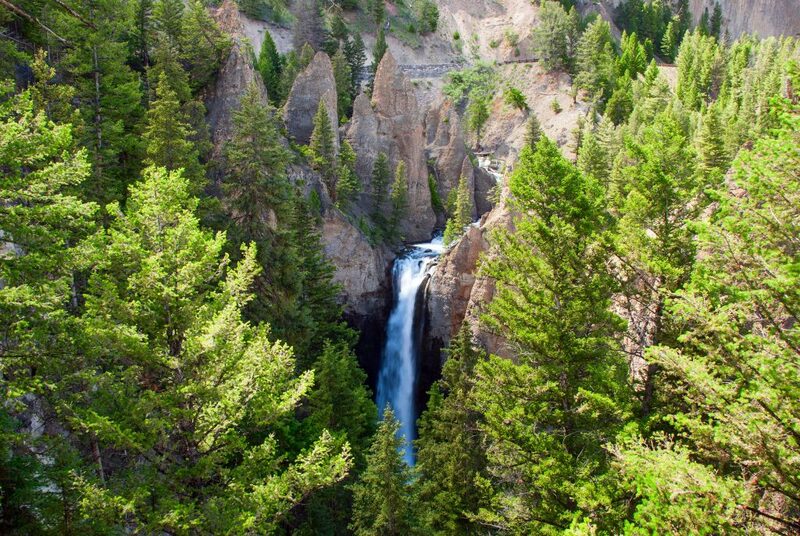 Here are 4 incredible, easy to reach waterfalls in Yellowstone National Park you won’t want to miss! By far the most popular waterfall in the park, the Lower Falls of the Yellowstone River are a must-see during your visit. Located in the Grand Canyon of Yellowstone, Lower Falls is the tallest waterfall in the park at 308-feet. You can take in the views and snap some pictures from Artist point, Inspiration point, Grandview Point, and lookout Point. Most of these spots can be reached after a very short walk. If you want to get closer to this beauty, tackle the Brink of the Lower Falls Trail. 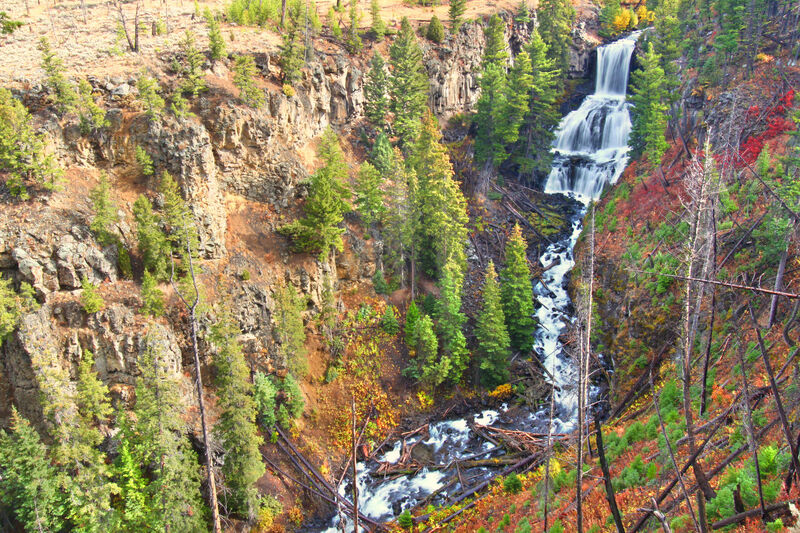 Undine Falls,a 60-foot multi-tiered waterfall (part of Lava Creek), can be viewed from a lookout located right along the Grand Loop Road. It’s had multiple names, but the most recent came from geologist Arnold Hague in 1885. Undines are clever water spirits found in German mythology – they were thought to live near waterfalls and marry mortal men so they could capture their souls. Located near Tower Junction on Grand Loop Road, this impressive 132-foot waterfall is definitely worth a stop. An overlook can be reached after a short walk if you don’t feel like a hike, but the 1-mile round trip trek down to the Yellowstone River is worth the effort. The unique rock spires surrounding the waterfall were created by lava flow around 1.3 million years ago. If you visited this waterfall prior to 2012 you may have hiked to the base of falls, but the trail is now closed due to erosion. 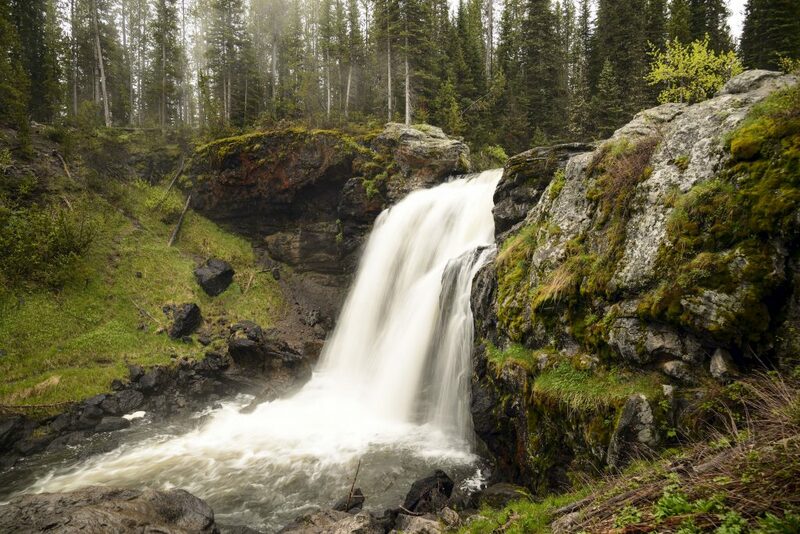 Moose Falls, located on Crawfish Creek near the Southern Entrance of Yellowstone, is an enchanting 30-foot waterfall you will want to add to your list. Named for the abundance of moose in the area, the waters here are thermally heated. You can reach the base of the falls after a quick, easy walk. Ready to see these waterfalls for yourself? Explore Wyoming campgrounds, RV parks, and resorts near Yellowstone National Park on Camp Native! Looking for more camping adventures? Check out our blog!